There’s nothing I love more in the summer than a refreshing cocktail. If you know me, you know I’m a bourbon and whiskey girl. My whiskey cocktails of choice include a good Old Fashioned, a mint julep or a whiskey smash. But keep those whiskey sours away from me! 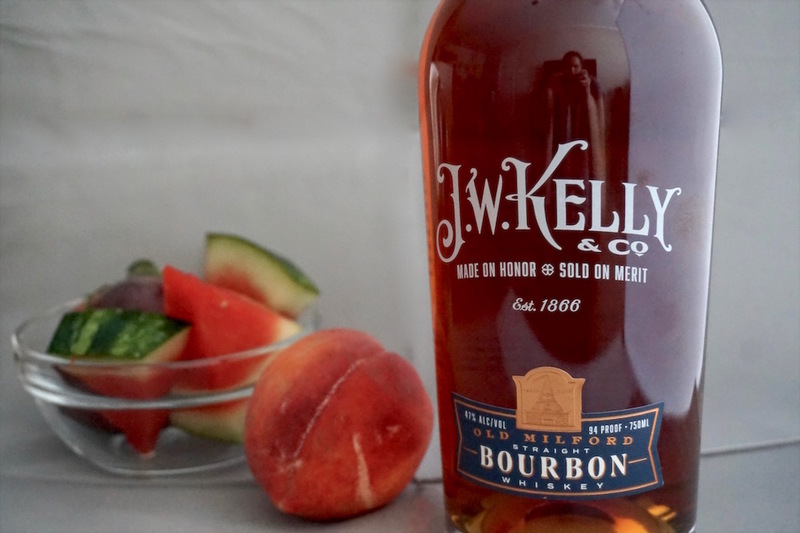 I’ve recently discovered JW Kelly & Co. Old Milford straight bourbon whiskey, so that’s been my bourbon of choice for many of my summer drinks. It’s a Chattanooga brand that’s recently hit the market and I’m excited to see it flourish here. The Old Milford is super smooth and great neat or on the rocks, but it also makes a wonderful mixing bourbon that you won’t feel guilty about using in a cocktail. Y’all can learn more about JW Kelly & Co. and other brands in their portfolio on their website. Also, can we talk about how beautiful that branding is? Fruit easily makes up 50% of my diet. With so many fresh fruits in season during the summer, that percentage goes up quite a bit. Adding fresh fruit to cocktails makes them extra refreshing and extra delicious. My favorite summer fruit cocktail is a Summer Fruit Whiskey Smash. And I’ve come up with three awesome recipes for whiskey smashes that highlight three of my favorite summer fruits. I’ll share two with y’all here, but I’m saving the third one for a little later, when that fruit is really in season. 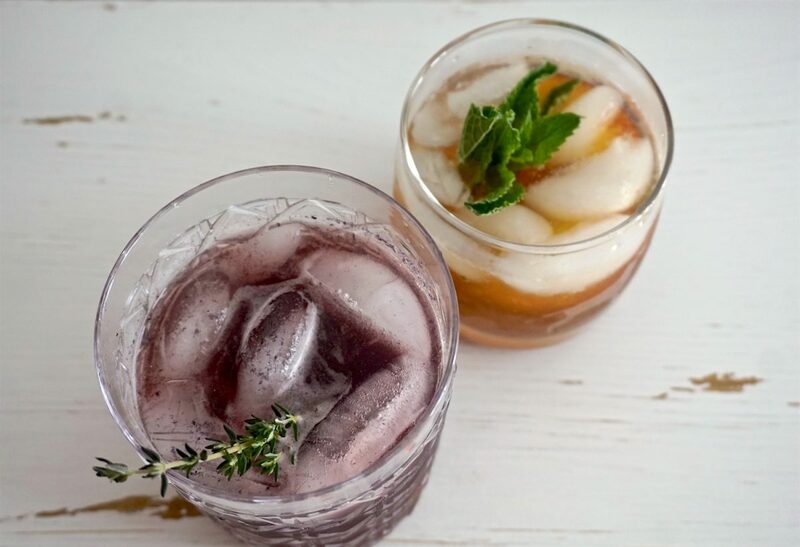 I love adding herbs to cocktails; it adds an earthy flavor that can really complement the fruit. The basil adds a nice earthy complement to the watermelon and balances out its sweetness. 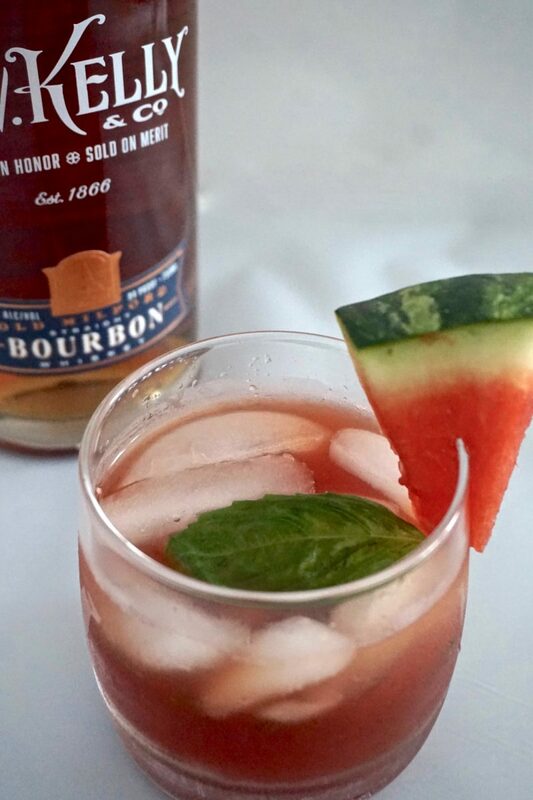 Add bourbon, watermelon juice, watermelon chunks, basil leaves and sugar/syrup to a cocktail shaker or mason jar. Shake rigorously for 30 seconds. Strain into a rocks glass over crushed ice. Top with ginger ale and garnish with a watermelon wedge, basil leaf and salt, if desired. Blackberries are low-key one of my favorite summer fruits. I don’t use them nearly often enough but I’m always happy when I do. This one isn’t as sweet as the watermelon basil, but it still has a nice balance of flavors and tastes like summer in a glass. 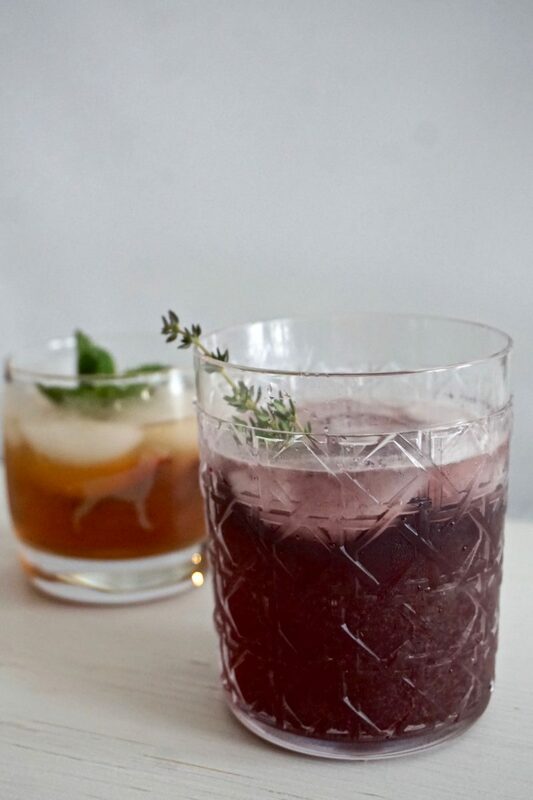 Add bourbon, syrup/sugar, blackberries and thyme to a cocktail shaker or mason jar. Mash with a wooden spoon or muddler to blend, and then shake to combine. Strain over crushed ice into a rocks glass. Top with ginger ale and garnish with a thyme sprig. There are plenty of variations that can be made with seasonal fruits and your favorite alcohol(s). A whiskey smash is a super versatile cocktail that you can make just the way you like with your favorite flavors. 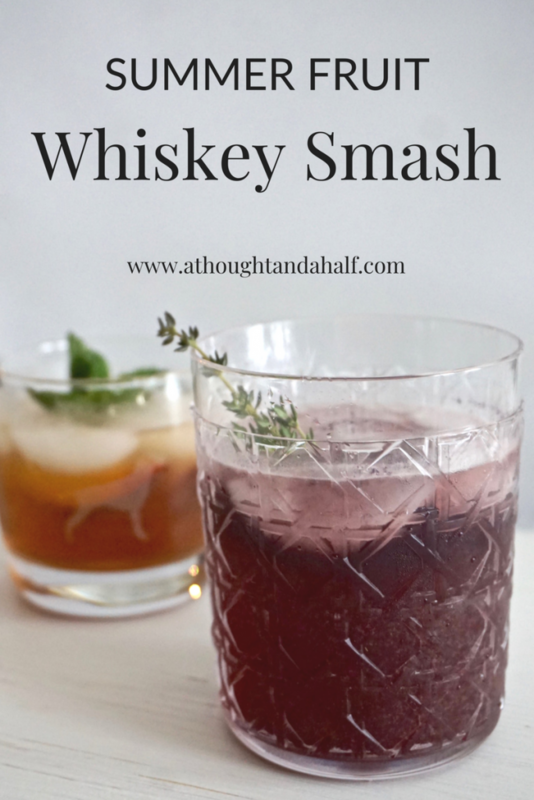 Stay tuned for more whiskey smash recipes featuring some of my favorite summer flavors!